The purpose of the 21st Century Community Learning Centers (21st CCLC) - Elementary & Middle Schools program is to support the creation of community learning centers that provide academic enrichment opportunities during non-school hours for children, particularly students who attend high-poverty and low-performing schools. The program helps students meet state and local student standards in core academic subjects, such as reading and math; offers students a broad array of enrichment activities that can complement their regular academic programs; and offers educational services to the families of participating children. Programs must operate during every regular school day and may operate during summer, weekends, intercession, or vacation periods. Summer/Supplemental Programs (including before school, summer, and after school summer). other schools determined by the LEA to be in need of intervention and support to improve student academic achievement and other outcomes, and serve the families of such students. The application proposes to target services to schools that enroll students who may be at risk for academic failure, dropping out of school, involvement in criminal or delinquent activities, or who lack strong positive role models, and serve families of such students. Demonstrates that the LEA or entity is unable to partner with a community-based organization in reasonable geographic proximity and of sufficient quality (Note: this priority item will be applied to all schools in the application; however, a justification narrative for the inability to partner is required as part of the Funding Priority Certification Form). Proposing activities at the school that are not accessible to students who would be served or that would expand accessibility to high quality services that may be available in the community. The applicant will provide year-round expanded learning programming at the school, including programs that complement ASES or 21st CCLC funded programs. Year-round expanded learning programs are defined as any combination of an applicant that provides year-round programming, an applicant that offers summer programming to complement an existing ASES or 21st CCLC after school program, or an applicant that offers an after school program to complement an existing 21st CCLC summer program. 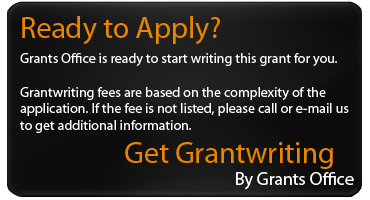 The applicant is not required to be the same entity that operates the existing program, but shall identify the grantee with whom the applicant is coordinating for the purpose of providing year-round programming. Replacing the schools expiring Cohort 8 21st CCLC grants if the program has satisfactorily met grant requirements. In the most recent funding cycle, FY 201819 (Cohort 11), applicants requested over $95 million in 21st CCLC program funding, and approximately $24 million was awarded. Of the 99 applications submitted, 43 applications were funded. Twenty five percent of the total funds requested were awarded, which indicates the highly competitive nature of the process. All programs must serve the families of students at these schools. Applications must be submitted by November 13, 2018. Approximately $18,000,000 is anticipated to be available in total funding for FY19-20. Awards will range between $50,000 and $112,500. Applicants awarded a 21st CCLC grant will receive a five-year grant, subject to semiannual attendance and other reporting requirements. Grant awards are contingent upon the availability of 21st CCLC Program federal funds authorized in the California State Budget.